Lately I’ve been realizing the importance of creative practices to develop the skill of seeing. Often we think of art as a means of self-expression, a gift we can offer to adoring fans. But art – the process of making it – is important for the maker of it as well. It’s through drawing, shooting photos, or writing, that an artist develops their eye, and learns to see. Today, more than ever, seeing one of the most valuable skills we can learn. In my recent book, Pay Attention, I suggested that seeing is like a muscle that needs to be exercised in order to become stronger. Seeing needs to be practiced in order to become habitual and instinctive in new situations throughout our day. Creative exercises force us to slow down, process the information we’re taking in, and notice details that often get overlooked. Drawing is a great way to learn to see. Children are the best examples of using drawing to learn to see. (I’ve written before about how my daughter learned “look drawing” at school, which helped her learn to see animals in particular). Austin Kleon, in his recent conversation with Jocelyn K. Glei on the Hurry Slowly podcast, talked about how his young son draws. As his hand traces the shape of a truck, for example, his mind is taking the truck apart, putting it back together again, understanding how the pieces fit together. Apparently Kleon’s enjoying thinking about “drawing to see” as much as I am, as a couple days ago he also shared the above quote from Chris Ware, who also noticed how children use drawing as a way of seeing. When’s the last time you got lost in doodling? 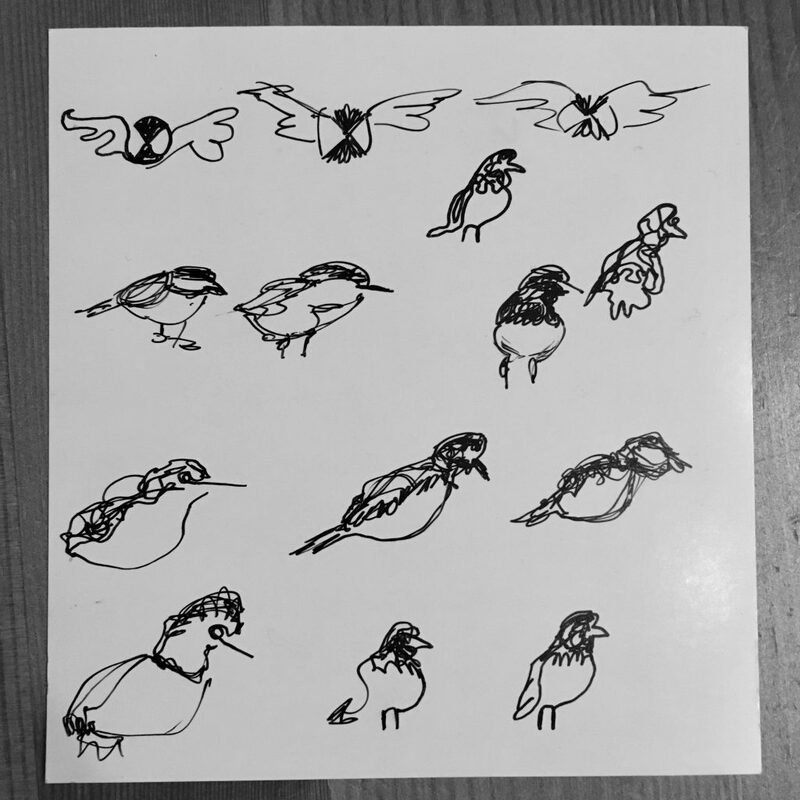 I recently picked up a scrap of paper and drew some doodles of the birds at our backyard bird feeder. For 15 minutes, my hands traced my mental images of chickadees, juncos, and blue jays. Through the process I was surprised to realize how little I’d actually seen some of these birds before. We all would say we know what a blue jay or chickadee looks like, but when we’re forced to actually draw one, it reveals how little we take note of the details. The exercise helped me see more of each of these birds the next time they showed up at the bird feeder, and appreciate the intricacies of their markings and behaviour. Used intentionally, taking photos can help us appreciate and participate in the world around us. One of my favourite voices about photography is David Duchemin. In his book Within the Frame, Duchemin discusses how to see even iconic travel destinations with fresh vision, using photography as a tool for honing your vision. When Duchemin visited the Taj Mahal, for instance, he jumped off the bus and quickly snapped the postcard photo that we’ve all seen before. But it was only when he slowed down, taking time to listen and look beyond what he expected to find that he saw the iconic structure from a different perspective. 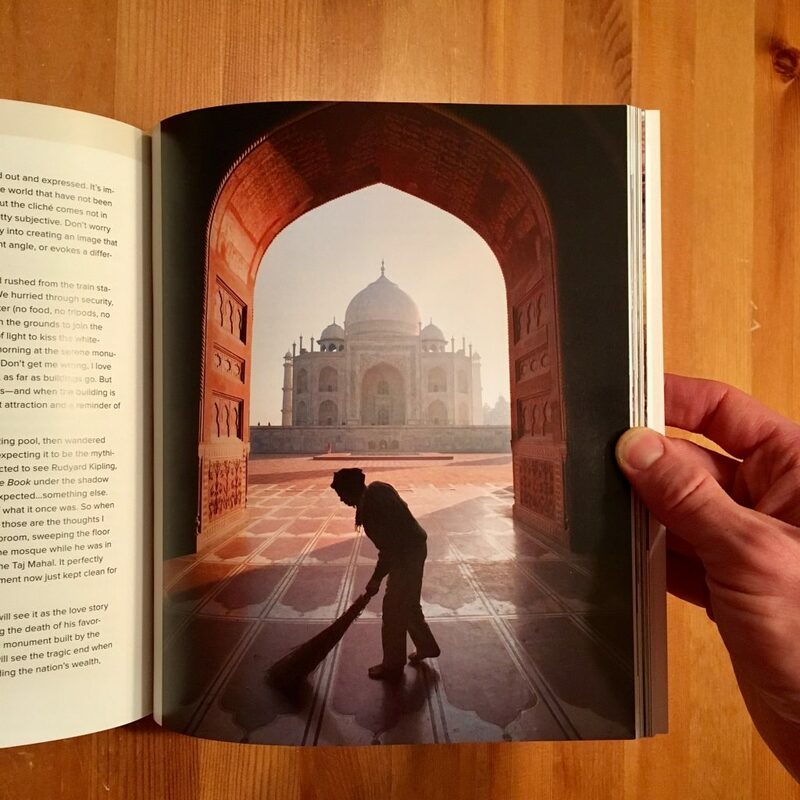 He took a beautiful photo from behind the Taj that captured his unique experience of the iconic tourist attraction. Duchemin’s photo from a new perspective of the Taj Mahal. Unfortunately, cameras can also provide barriers to seeing. The moment we pull out our phone to snap a picture, we’re viewing the world through a frame formed by a screen, which can limit our ability to experience it. Before quickly snapping a picture, take a moment to consider what it is you’re trying to capture. Try moving to find a new perspective, let your eye wander through a moment to create a “seeing” exercise rather than a simple “snapping” one. Writing also has the ability to help us learn to see. By taking the time to organize your thoughts, you learn to hone your vision. Long-time daily blogger Seth Godin recommends that everyone start writing a blog; not to be heard, but to learn to see. Lately I’ve been drawn to poetry as a way of processing my experience of the world. Mary Oliver is well-known for her poems about the natural world. What becomes clear if you read her poems is that what makes her a great writer is her ability to see. All the details and nuances of the creatures and landscapes come to life in her poems, as she points out the miracle of each blade of grass and each grasshopper inhabiting that blade of grass. To follow in Oliver’s footsteps, I’ve been experimenting with writing poetry as a way of learning to see. 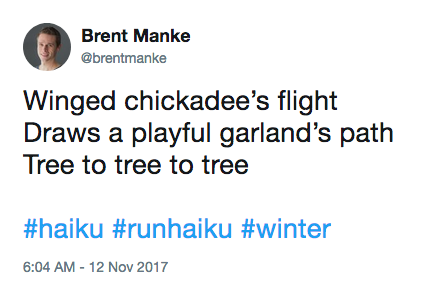 I’ve been writing regular “RunHaikus” during my morning running routine (I post each haiku to Twitter, check them out here). Seeing is an important skill, one that’s worth cultivating through regular practice. 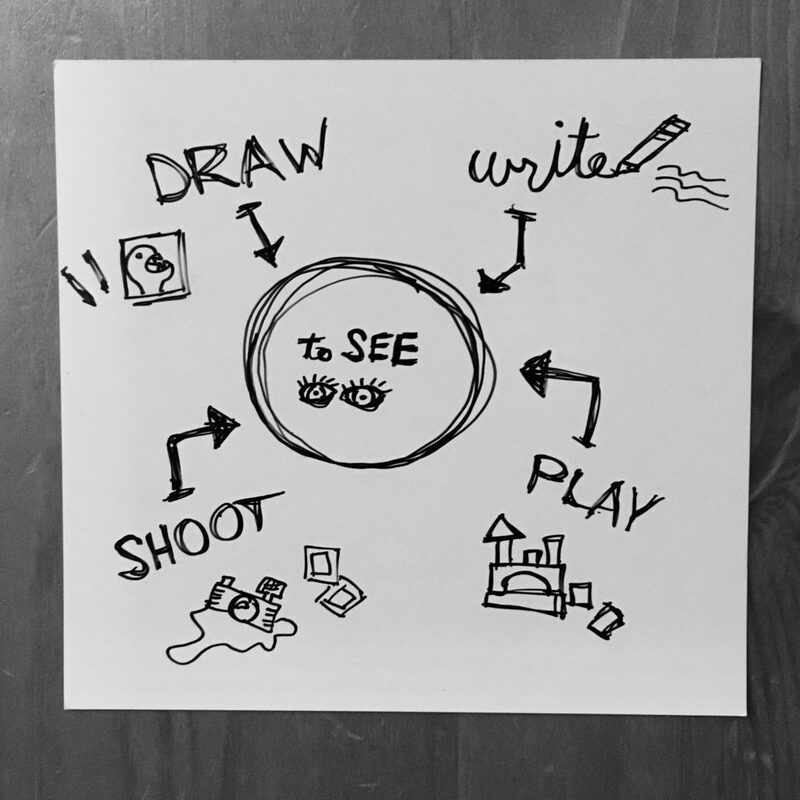 Pick up a pencil, crayon, marker, or camera, and let a creative practice teach you how to see.